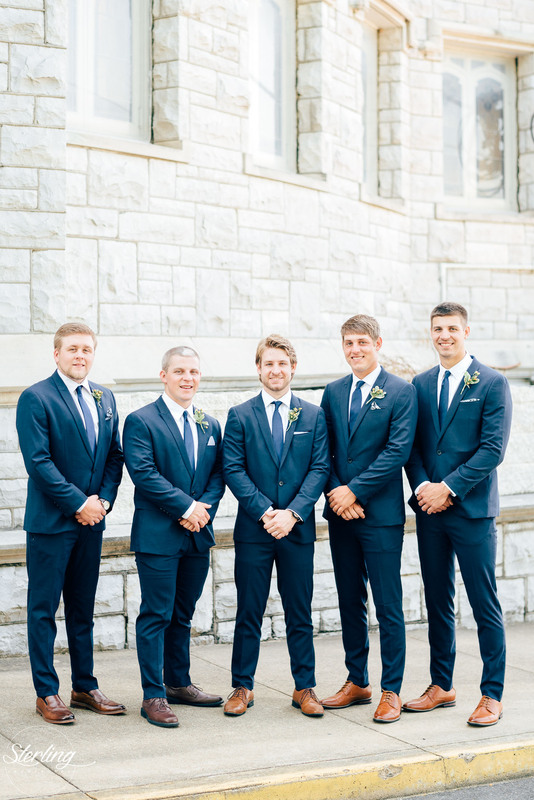 The suits that Colton and his four groomsmen would wear for our wedding was a surprisingly stressful topic. 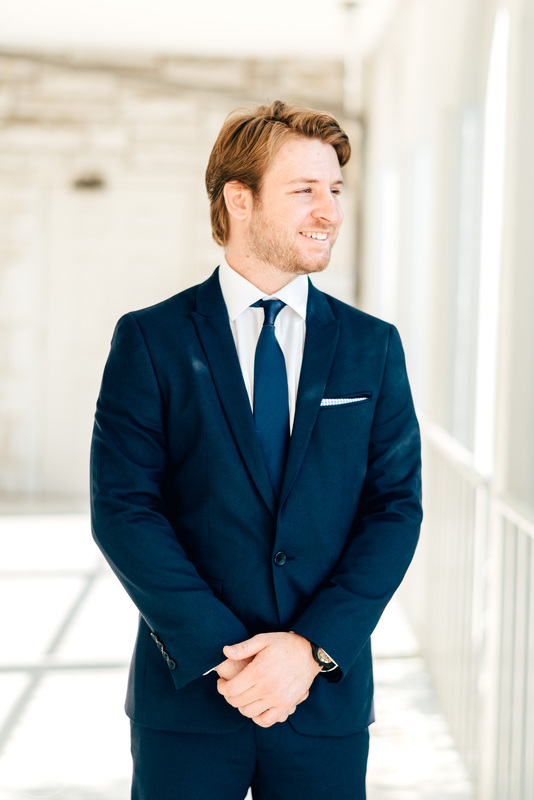 Colton knew exactly the style and color of suit he wanted, but finding a suit that fit his high expectations (within budget) was very hard. As it usually is. 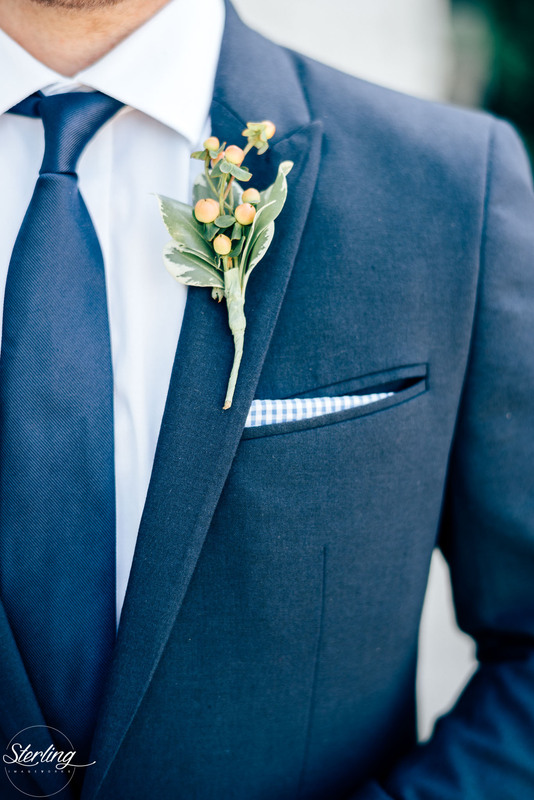 In the beginning, we were dead-set on renting suits from a store like Men’s Warehouse or JoS A. Bank, or online rental store Menguin. 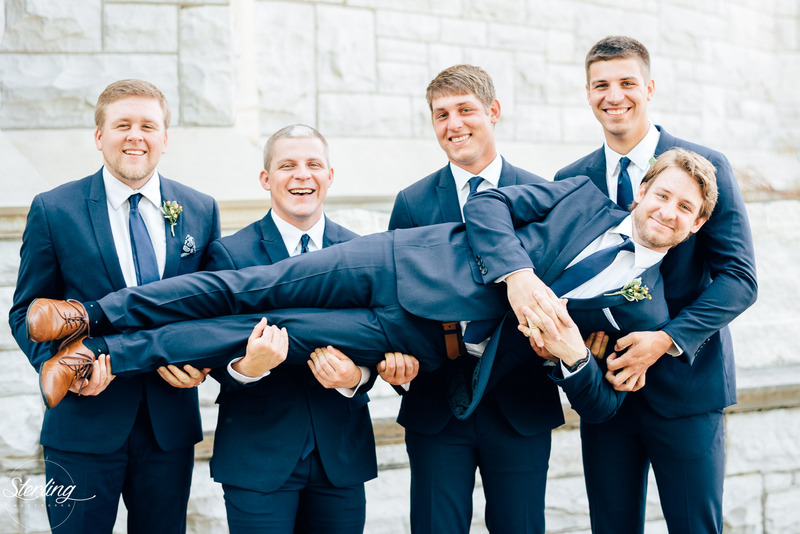 However, after weeks of Colton scouring each store’s inventory, he couldn’t find the perfect, slim-fitting suit within our budget for the wedding. That’s when I joined the search and found ASOS menswear. Colton waiting for our first look. He was so nervous! The men’s section of ASOS is not a place I frequent, but I have to say they currently have a great selection of suits, blazers, and slacks. 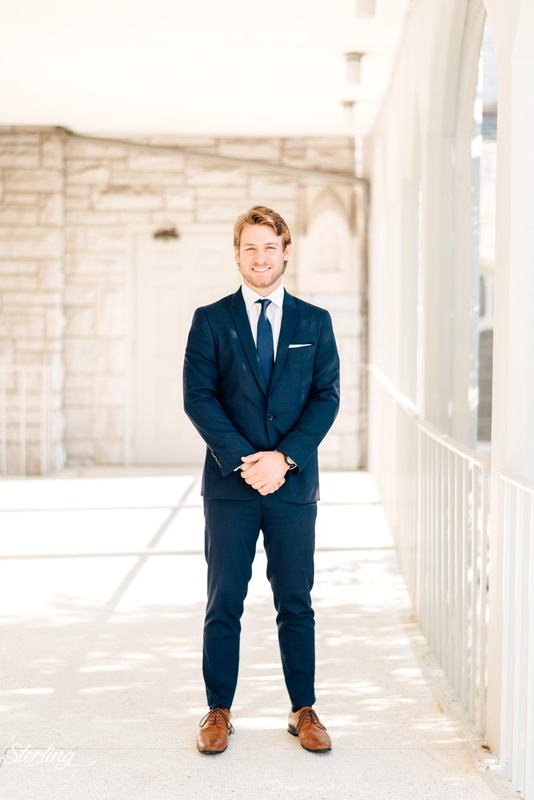 Colton and I looked through a few of our favorites before settling on the ASOS brand Skinny Suit in navy. 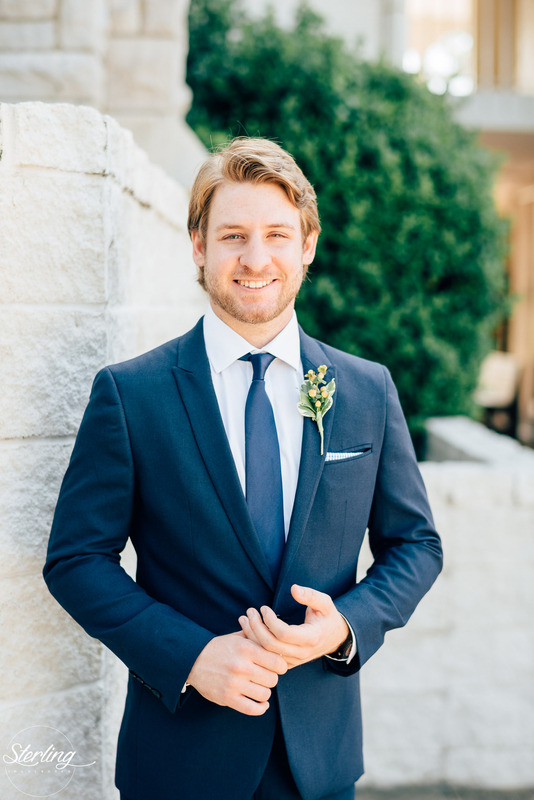 Since Colton has strong opinions on suits, I asked him to write brief review of the suits he and his groomsmen wore on our wedding day. The cut was modern, which was perfect. I liked the slim fit of the suits. The fit of the jacket was good in the shoulders and waist, the sleeves were a bit long for my size, but great after tailoring. The pants fit good except for the calf region. They were a little tight there for my preference in the beginning, but I got used to it over time. The color was spot on for what I was looking for. I would definitely recommended these suits. I actually have recommended them multiple times. And the exchange policy and process is good and easy to work with. 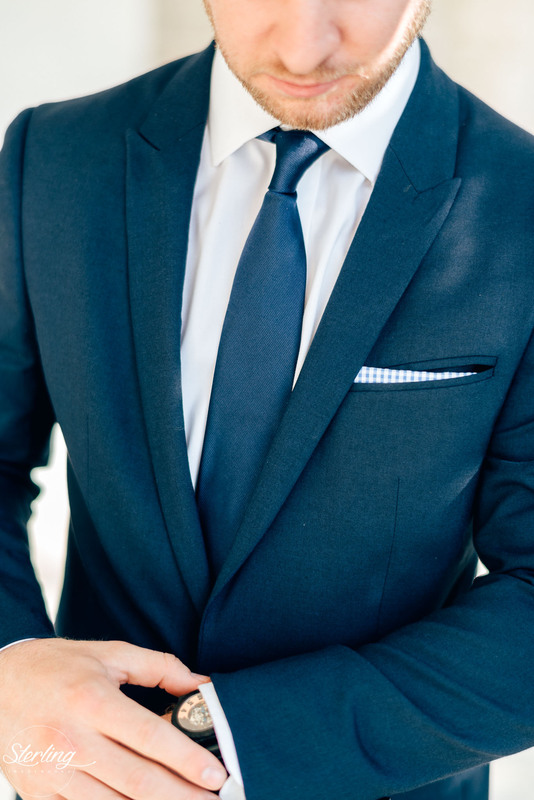 The suit is fully lined and easy tailorable. The material is lightweight so they’re perfect for summer or warm weather wedding. 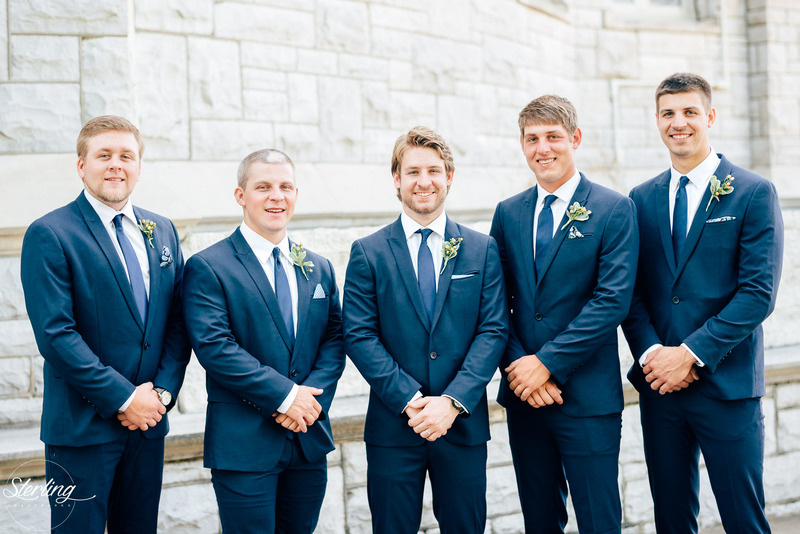 To top off the look, Colton bought slim navy silk ties for him and his groomsmen from J.Crew Factory. The color of the ties matched almost perfectly with the suits! 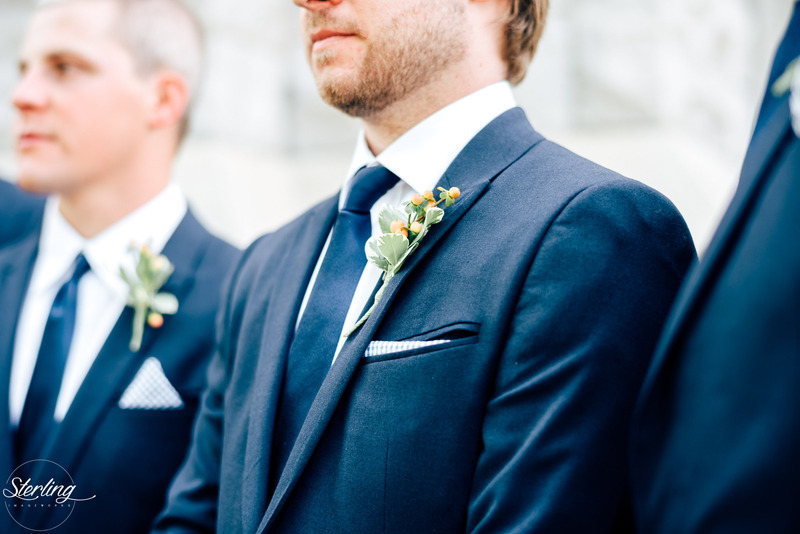 Colton then matched different blue-toned pocket squares from Brooks Brothers to finish it out. Recieve CLH in your Inbox! 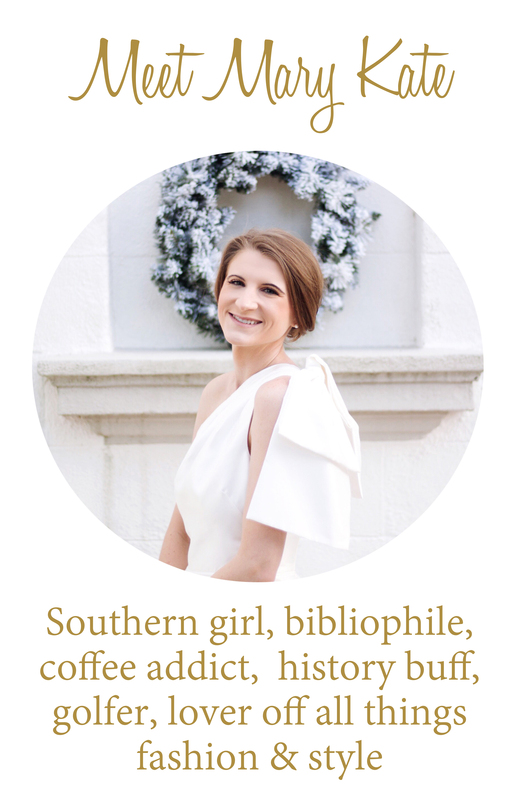 Enter your email address to follow Chic Little Honey and receive notifications of new posts by email.